For every person you see standing in front of the mirror admiring themselves, there was once a younger version standing in front of the same mirror wondering whether the world would accept them they way they are. “I’m not tanned. I’m not 6 feet tall. I have no real muscles and I am milky white”, said Daniel. “My teeth aren’t perfectly white. My legs aren’t skinny and lean; I don’t have a thigh gap”, said Emma. Male or female, this situation has happened to everybody. Take a moment to think of the most confident person you know, and imagine them standing in front of a mirror feeling low about their image. It may seem unfathomable now but there will be a time when they were in that vulnerable state. The all too common story is one of the young lad going to the gym desperately trying to get more muscular. Let’s face it, it’s the only way girls will ever want him. How can he compete with muscular men? How can the naturally curvy and heavier girl compete with the skinny, thigh-gapped models she sees on Instagram? By going to the gym to improve themselves. The first 6 months are tricky. It takes time to ‘find your feet’ your feet in a gym. Eventually though, you find a routine and you make progress. You’re fitter. You’re stronger and now the compliments start coming in. People tell you how good you look. At first you’re too modest to ever believe it but like anything else, repeated exposure gets you used to it and you begin to yearn for more. The Instagram follower count climbs and the like count hits an all time high – finally the world is accepting you. Who would want to get off this train? You want more. And the place that gave you this addictive feeling is your beloved gym, so you decide to train more in pursuit of a bigger chest, better abs and bigger arms. Or, in the case of ladies, nicer legs, a bigger bum and a skinnier waist. What was once a full body, 3 times per week workout is now a 6 day, 2 hour long bodypart split. The sports you used to play were long left behind. The friends you had have been ditched because they don’t lift, and you can’t be seen with people that bring your image down. Where did the dream of being an RAF engineer go? Where did the career in nursing disappear to? You couldn’t see the fulfilment in them. The praise and internet approval you’ve grown to need isn’t so readily available. There’ll be less time to train and less time to upload selfies. Something else will have to fill the hole. Maybe you’ll have to find fulfilment from something deeper and less superficial. And by that point, the train moves too fast to hop off from. The only thing you know is looking good; it’s the only thing people know you for too. What caused all this, you may wonder…..when the answer is a simple thing every human being has succumbed to and will always be vulnerable to…..and that’s greed. The line between self-improvement and greed has been crossed. You’re no longer training the body to be better, you’re training the ego to expect more. Do you really want your world to be completely one-dimensional? Personally, I am very one track minded. I get into things in a very big way. I cannot be half hearted……I must know everything I can about my passion(s) and I can gladly talk about them non-stop. 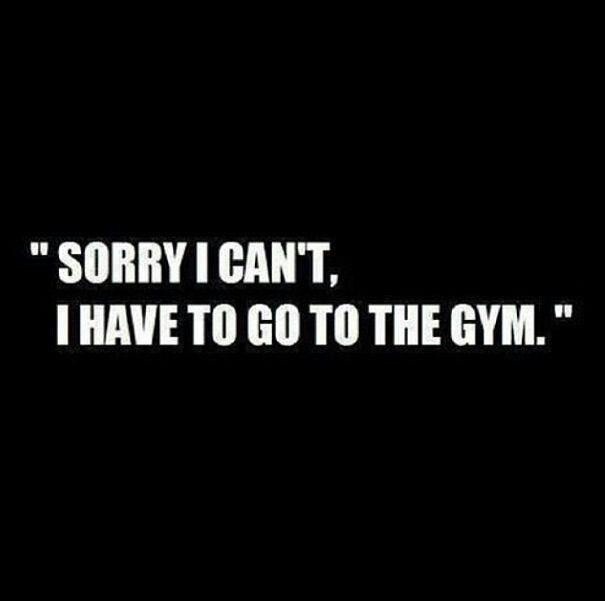 And it’s Ok to be passionate about the gym; it’s a good thing. What’s not a good thing is the gym being the sole source of positive feelings in your life. Your self value shouldn’t, and can’t, rely on your lifting numbers, physique status or weekly gym visits alone. There has to be more. It needs to go deeper. Are you good with art? Maybe you’re funny. Perhaps you’re good at writing. You might be a good listener……..there’s many things that make up the entity that is you. It’s just discovering them. If you only crave superficial results and gratification, then the path ahead looks bleak. It’s this faulty mindset that leads people to anorexia, bigorexia, steroid use and a life of unfulfillment. I recently ‘found’ calisthenics and have been orientating many posts towards calisthenics lately. 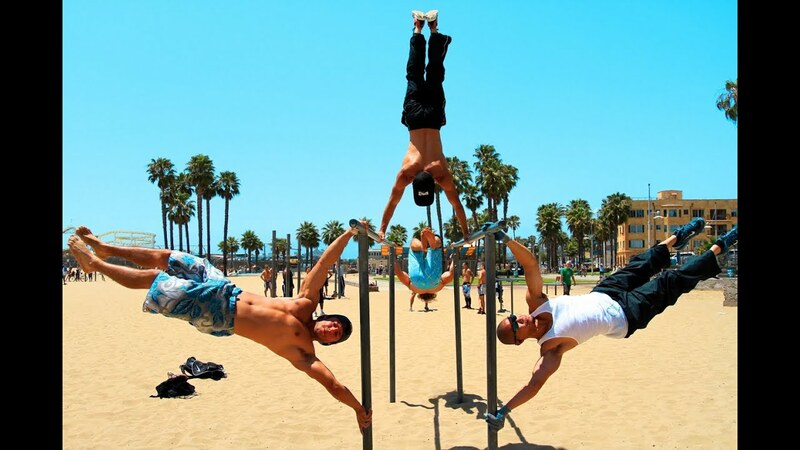 What I love about calisthenics is the skill factor. Sure, you can build an awesome body from it and you can look great. But you don’t just get that, you get the development of character that accompanies chasing a big move for sometimes well over a year, failing and failing, to eventually succeed. Worrying about the approval of others on social media sites and injecting steroids doesn’t give you such soul satisfaction. It has no real world carryover and will not provide long lasting happiness. I always teach clients to target performance and not even consider physical changes – even more so when they’re starting out. It’s simple: choose something you want your body to be able to do and begin your journey. And believe me, by chasing a goal your body will change. But this time you’re not attached to the visuals and the surface results, you’re attached to the functionality, to the bigger picture, to the real definition of self-improvement. great post! Too many of us have fallen prey to the cycle of the gym-routine, and it can be a tough one to break. Living your life and finding balance is the real challenge! I have found it gets easier with experience. Your body starts telling you when it’s had enough and needs a break but when you first start training, you kind of fear that you’ll lose your progress if you don’t keep training all the time. Thanks for your comment, Cammy. Spot on. My first blog post was along similar lines, as it happens. It’s so tempting to get consumed by fitness goals – but it’s dangerous. Long term, you’re likely to be better off if you are also able to put aside what you look like and simply focus on what you can do. Great minds think alike! It’s really the only way forward, focusing on performance ALWAYS improves the way you look and feel by default. In fact, I’ve NEVER seen it not happen. Where it goes wrong is when someone doesn’t want to pursue a performance goal and keeps chasing purely aesthetics. Thanks so much for your comment and input! It’s hard to find but does exist for sure.